Yes indeed we are but we hope each year to see it with renewed wonder, excitement and awe. 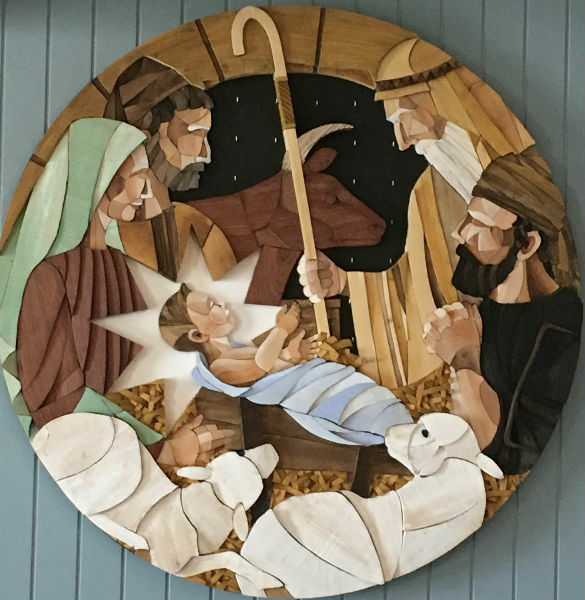 The story of the infant king, born in a stable able to experience life in all its wonder and difficulty here with us and for us. Worshipped by rich and poor, brought gifts of great wealth and humble sacrifice. This involves making the effort to step back from the hussle and hassle of everyday life, and especially, as we prepare for extra visitors, extra expense and extra work. Try to take a few moments each day of Advent to have a little quiet reflection on that same old story. Allow yourself to be in touch with the wonder of what that story means for us here in Tillicoultry today. I will be trying to take my own advice and do just that this Advent.